What sets the AutoStar Nissan service department apart from other auto repair centers in the Boone, Charlotte, Winston-Salem, Hickory, West Jefferson, Blowing Rock, Wilkesboro, Johnson City and Lenoir areas? For starters, all of our technicians are factory-trained specifically to service all manner of Nissan vehicles, regardless of age or condition. Our experienced technicians know everything there is to know about all Nissan vehicles, both new and old. When you choose to have your vehicle serviced at AutoStar Nissan, you can rest easier knowing that we only use genuine Nissan OEM parts when changing out or replacing parts on your vehicle. Other service repair centers in might try to take shortcuts to save a few dollars by putting sub-standard aftermarket parts on your vehicle, but at AutoStar Nissan of Boone service department we only use OEM parts of the highest quality that come directly from the manufacturer. Besides the fact that our technicians are factory-trained and we only use Genuine Nissan OEM parts, there are plenty of other benefits to having your vehicle serviced at AutoStar Nissan. We always have regularly updated service specials available for any and all of our customers. Likewise, scheduling your next service appointment is now easier than ever. Scheduling service can be accomplished by calling to speak directly with one of our friendly service advisers or by filling out the convenient scheduling form that’s available on our website. The expertise our certified technicians apply to every service job will keep you and your passengers safe while traveling the hectic roads of North Carolina. All of the friendly and knowledgeable service advisers at AutoStar Nissan are subject matter experts when it comes to getting your vehicle repaired. Every technician at AutoStar’s number one priority is to have your vehicle fixed and you back on the road in the quickest manner possible. We know that our customers lead busy lives, and we do everything in our power to get their Nissan vehicles serviced or repaired quickly so they can continue on with their day. 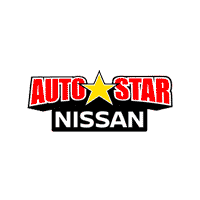 The AutoStar Nissan service department will monitor you service history and let you know of any recalls or issues that arise relating to your specific Nissan car, truck SUV or van. At the AutoStar Nissan service center, we know how to treat our North Carolina customer’s right–that’s why our customer satisfaction is rated the best in Boone! Ensure your car’s air flow during the heavy heat of summer is in tip top shape! See Dealership for further details. Limit of one per customer. Coupon must be presented at the time of service. Available on most vehicles. See store for complete details. Includes up to 5 quarts of conventional oil and filter. Excludes Synthetic, Diesel and some Specialty vehicles. Offer may not be combined with any other coupons, discounts, or promotions. Other Restrictions may apply. Void where prohibited. See Dealership for details. Limit one use per customer. Drain and Fill Transmission Fluid to Improve Engine Life and Performance! Don’t miss our latest deal: $20 off any and all Transmission service! Some Transmission fluid types extra. See service advisor for details. Offer may not be combined with any other coupons, discounts, or promotions. Other Restrictions may apply. Void where prohibited. We’ll inspect your suspension and steering system and align vehicle to manufacturer’s specifications. Good one time per vehicle. Most Vehicles. Save off current in-store pre-tax price. Subject to in-store equipment availability and employee qualifications to align vehicle. Additional charge may apply to vehicles equipped with stability control systems. See store for details. Not valid on prior purchases or rain checks. No cash value. Not to be combined with any other offer/discount/coupon/promotion. Offer void where prohibited.